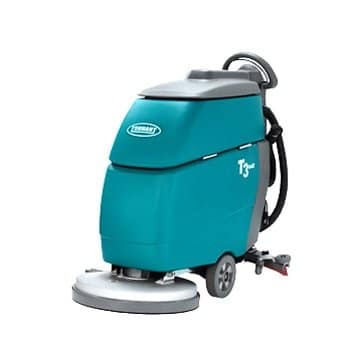 Tennant floor scrubber dryers include walk behind corded-electric and battery micro scrubber-dryers along with large area walk-behind scrubber-dryers. Use the T1B battery walk-behind micro scrubber-dryer to clean small, compact spaces, or the 5680 battery walk-behind scrubber-dryer for large industrial areas. Clean large spaces in less time with Tennant ride-on scrubber-dryers. Tennant provides a variety of industrial scrubber-dryers to choose from, with a wide range of sizes and features. Get a large scrubber-dryer or a compact battery-powered scrubber-dryer. Increase productivity and operator comfort with a ride-on floor scrubber-dryer for your premises. To reduce chemical and water use, choose a ride-on scrubber-dryer with ec-H2O™ chemical-free cleaning technology or FaST® foam activated scrubbing technology. 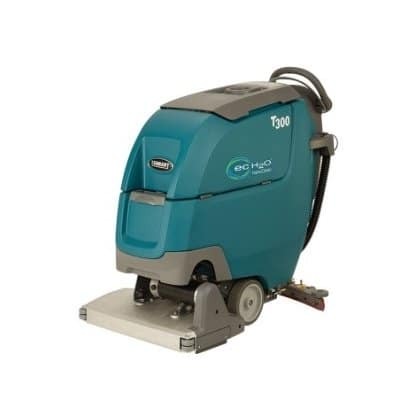 The Tennant T1 C pedestrian scrubber dryer is small, compact , cable powered with a roller brush application and delivers superior cleaning results in small spaces. The Tennant T1 Battery Micro-Scrubber-Dryer eliminates cord hazards and constraints, so facilities can be cleaned regardless of the time of day. 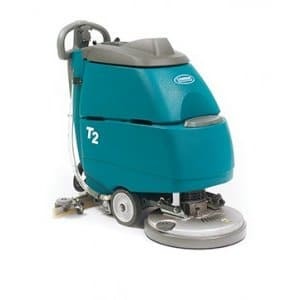 The Tennant T2 floor scrubber dryer dramatically improves cleanliness and safety in small spaces. 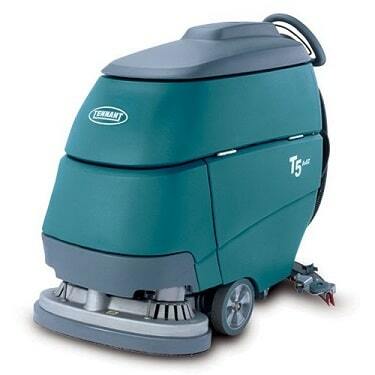 The Tennant T300 scrubber dryer has a 430mm scrubbing path and a 42 litre solution tank capacity. 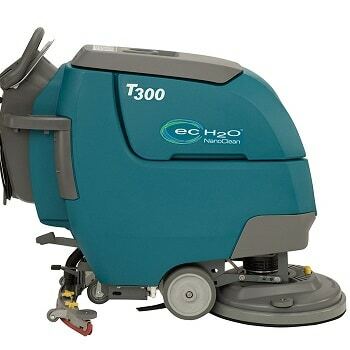 The T300 scrubber dryer has a 500mm scrubbing path and a 42 litre solution tank capacity. 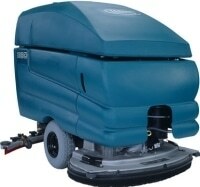 The T300 600 dual disc scrubber dryer has a 600mm scrubbing path and a 42 litre solution tank capacity. The T3 floor scrubber dryer has evolved into the T300. 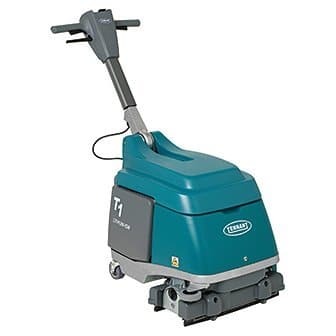 The Tennant T3 walk behind scrubber dryer has evolved into the T300. 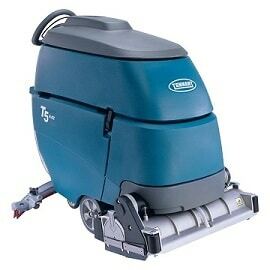 The T5 65 is a mid-sized cylindrical walk behind scrubber dryer with a 650mm scrubbing path and an 85 litre solution tank capacity. The Tennant T5 60 scrubber dryer is a mid-sized walk behind scrubber dryer with a 600mm scrubbing path and an 85 litre solution tank capacity. 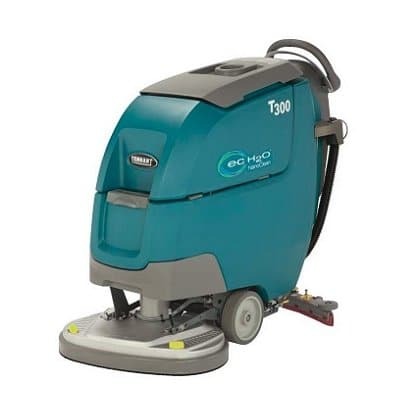 The Tennant T5 70 is a mid-sized walk behind scrubber dryer with a 700mm scrubbing path and an 85 litre solution tank capacity. The Tennant T5 80 is a mid-sized walk behind scrubber dryer with an 800mm scrubbing path and an 85 litre solution tank capacity. The Tennant 5680 80cm is a battery powered pedestrian scrubber dryer with a 800mm scrubbing width and a 114 litre solution tank capacity.